The quintessential Romantic composer, Hector Berlioz was born in Grenoble in 1803, moving to Paris in the 1820s to study medicine at his father’s insistence – where he began to study music in earnest, spending much time at the Opéra. In 1826, he found the courage to leave medical school and study at the Paris Conservatoire. His first major composition was the innovative five-movement Symphonie fantastique of 1830, its use of a large orchestra indicative of Berlioz’s expansive musical palette. He won the Prix de Rome at his fourth attempt, taking him to Italy in 1831, whose culture exerted a lasting influence; other non-musical influences were the work of Shakespeare and the English actress Harriet Smithson, who the smitten composer married in 1833. In the ensuing years he produced a string of key works, including Harold in Italy(commissioned by Paganini), the Grande messe des morts (1837), featuring four brass bands, the poorly received opera Benvenuto Cellini (1838), the rather better received “dramatic symphony” Roméo et Juliette, the Grande symphonie funèbre et triomphale and the song cycle Les nuits d’été (available on Opera Rara, ORC47). 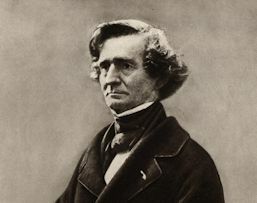 Though Berlioz won the admiration of fellow composers such as Wagner and Liszt (who put on a Berlioz week in Weimar in 1852), his music failed to win wide recognition, particularly in his home country. He helped support himself through critical writing; his Treatise on Instrumentation (1844) proved influential. He later toured widely outside France, winning fame as a conductor. 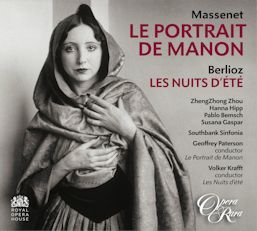 Further major works in his predominantly vocal output include La damnation de Faust (1846), the oratorio L’enfance du Christ (1854), the epic five-act opera Les Troyens (1856-8) and the opéra-comique Béatrice et Bénédict (1862), based on Shakespeare’s Much Ado About Nothing and premiered in Germany. His final years were plagued by illness and a despair that his brilliantly innovative, if idiosyncratic, music never won the recognition it deserved.